I met friends with good pancakes! “Butter milk” is not familiar in Japan :( but voivoi uses domestic fresh butter milk and rice powder. 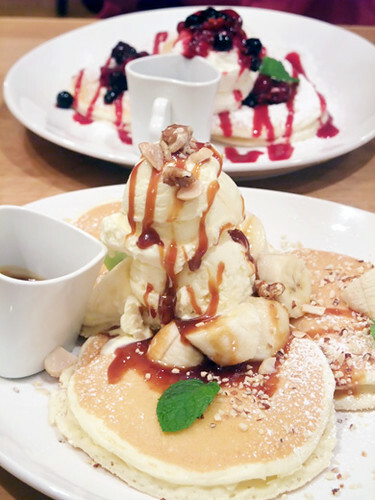 It’s their pancakes’ tasty secret :9 I had salty caramel sauce with nuts and banana, all of my friends chose different ones! Mmmm… I wonder what it tastes like? Yummy, now I got hungry :D I think in a few days I will make pancakes with ice cream, bananas and carameltopping, too. I clearly need to go here.